Three museums make up the Civic Museums of Ancient Art (Musei Civici d’Arte Antica) in Bologna. 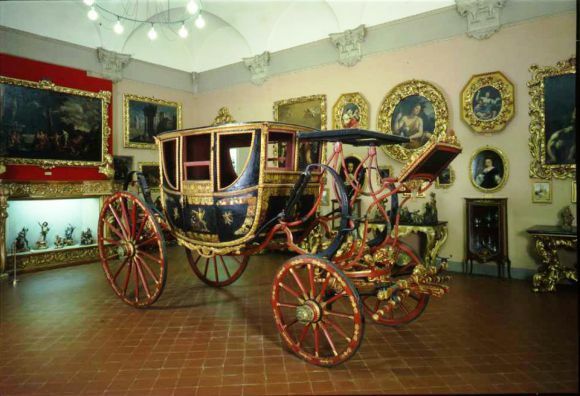 The Collezioni Comunali d’Arte (Municipal Art Collections) were instituted in 1936 in the Ancien Régime apartments of the papal legate in the City Hall. Housed here are works from the 13th to the 20th century. The collection – paintings, sculptures, furniture, furnishings and decorative objects – is the sum of 19th- and 20th-century bequests along with works that originally belonged to former ruling bodies of the city, including mythological and allegorical paintings (1713–1723) by Donato Creti. Works of the Emilian school (medieval painted and carved crosses; paintings by Vitale da Bologna, Jacopo di Paolo, Francia, Aspertini, Passerotti, the Carracci, Tiarini, Cagnacci, Crespi, Gandolfi and Palagi) are hung next to others by masters from all over Italy and abroad (Bonfigli, Moretti, Pirez, Signorelli, Bertoja, Gentileschi, Nuvolone, Hayez and Brullov). The rooms communicate the atmosphere of different artistic periods in Bolognese art. 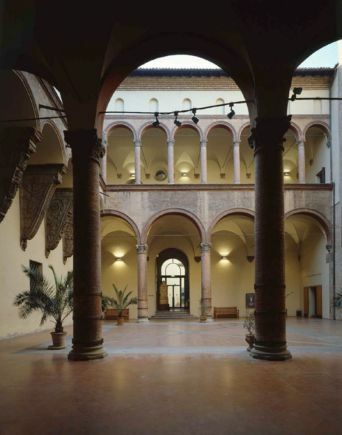 Since 1985, the Medieval Museum has been housed in the Renaissance Palazzo Ghisilardi. The items here come from several historical collections: the Baroque Wunderkammer of the Marquis Cospi; Luigi Ferdinando Marsili’s collection, one of the most important in Enlightenment Europe; collections of 19th-century artists (Baruzzi and Palagi). The Medieval sculpture department is at the heart the Museum’s identity. Among the masterpieces exhibited are examples of high Medieval craftsmanship, a cope embroidered in opus anglicanum with stories of the Life of Christ, a statue of Pope Boniface VIII in gilded copper, Gothic French ivories, important Renaissance and post-Renaissance items (weapons, armoury and glass) and Bolognese illuminated manuscripts. Renaissance and Baroque bronze sculptures include Giambologna’s model for the Neptune fountain, Algardi’s Saint Michael Archangel and Bernini’s bust of Pope Gregory XV Ludovisi. The Davia Bargellini Museum was inaugurated in 1924 in the building of the same name. 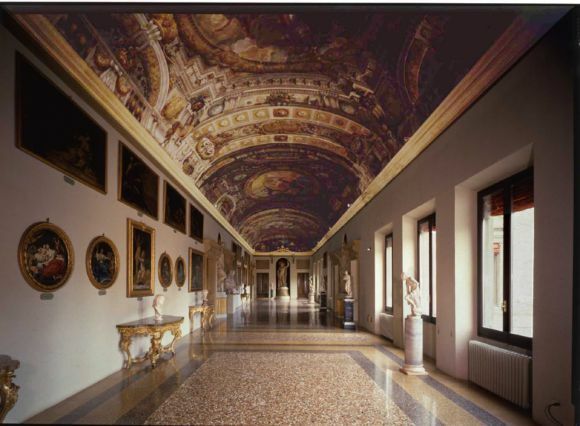 It includes a picture gallery (Vitale da Bologna, Michele di Matteo, Jacopo di Paolo, Prospero and Lavinia Fontana, Passerotti, Franceschini, Giuseppe Maria and Luigi Crespi) and a rich selection of objects of applied art recreating an authentic 18th-century Bolognese setting. Some items are particularly rare, such as the marionette theatre and a miniature of an 18th-century private house. Bolognese Baroque sculpture is represented by a wide display of works, mainly terracotta, dating from the 16th to the 20th centuries.